Hiranandani Fortune City: Enter a world of impeccable luxury and comfort for a modern-day lifestyle filled with happiness and prosperity! Mumbai is an amazing city that many want to be a part of. There is so much to this city other than what meets the eye! The real estate sector in Mumbai is booming today with a number of residential and commercial projects throughout the city. 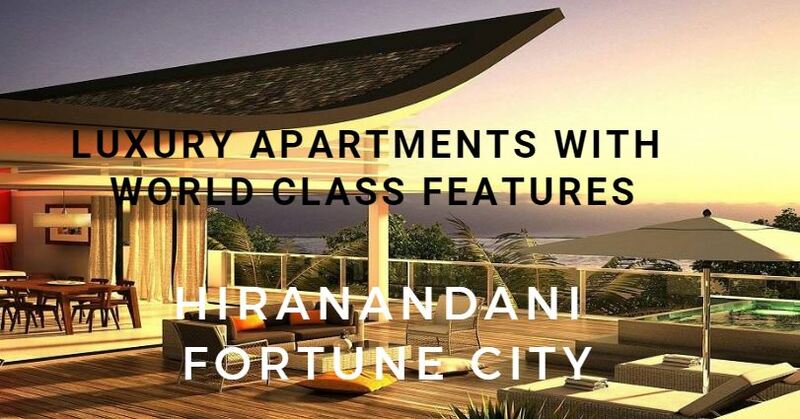 Hiranandani Fortune City is a new township project in Mumbai by Hiranandani Group that offers a new level of luxury and a place you can call ‘home’. Extended over luscious acres of land, this township development contains magnificent high-rise towers (G +36) that offer studio, 1BHK, 1.5BHK, 2BHK and 3BHK luxury apartments of different configurationsthat are designed to suit every requirement and taste. The apartment areas are large and beautiful, providing you ample luxury space to meet all your necessities. This township also consists of 2 fabulous commercial towers. 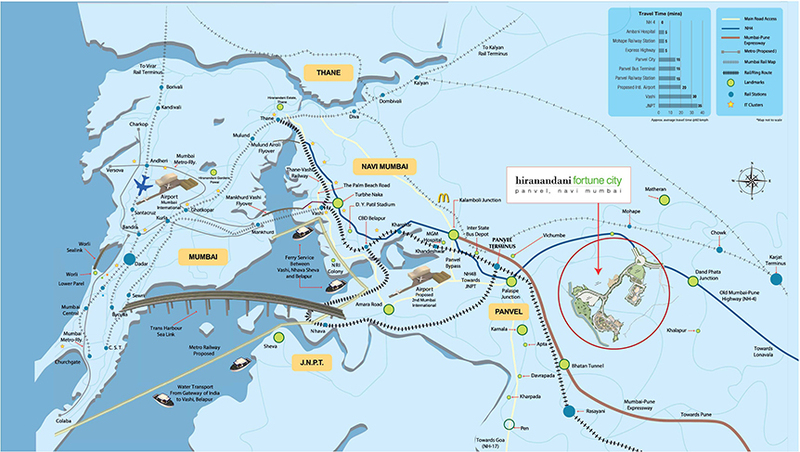 Hiranandani Fortune City Mumbai is a remarkable township development that packs a good punch of luxury and comfort through its wide range of internal and external amenities. The apartments are spacious, provide beautiful natural lighting, cross ventilation and contain premium fittings & fixtures, decorative doors, large balconies and aluminium sliding windows providing incredible landscape views of lush greens that will sooth your soul, high-quality flooring in every room, stylish kitchens with top-notch counters and multiple provisions, electrical ports located perfectly for easy access, safety features and this list goes on. The external amenities at this development are truly world-class and crafted to offer you and every member of your family the highest level of fun & entertainment each day! Experience a world of modern-day living that will always keep your satisfied. The external amenities include a lavish clubhouse for recreation, indoor/outdoor sports facilities and play-zone for your kids, hi-tech gymnasium for you to stay fit and active, meditation centre, beautiful sit-outs for you to relax and spend time with your family and friends, power back-up and firefighting equipment for emergencies, fancy landscape garden, wide open space that will always make you feel free, retail stores and well-trained security with CCTV video surveillance. Located at Panvel in Mumbai, Hiranandani Fortune City Panvel has a number of your every day and emergency landmarks in close proximity and offers you a life of convenience that will fill you up with joy! Places like schools, colleges, malls, shopping centres, supermarkets, convenience stores, cinemas, hospitals, medical centres, banks, ATMs, cafes, clubs, pubs, resto-bars, restaurants, petrol pumps, highways and a lot more can be accessed without any hassles. Everything you need is just a hop, skip and jump away! Starting at a price of Rs. 72 lakhs and moving up to Rs. 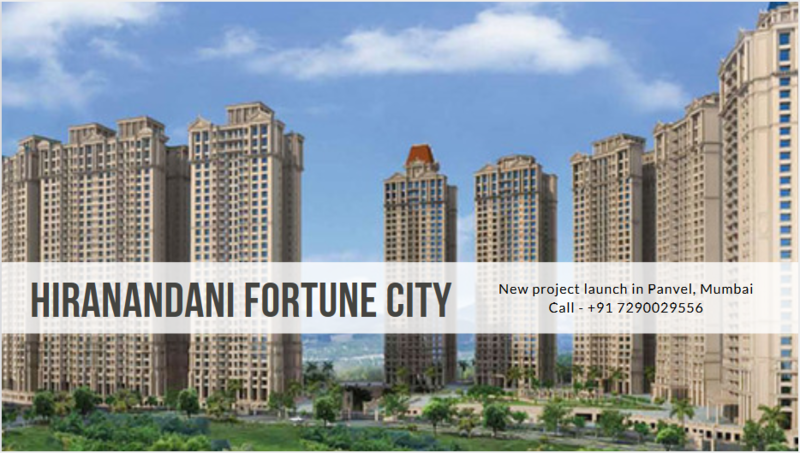 2 Cr., the Hiranandani Fortune City price is well-planned to meet every budget perfectly! If you are looking out for a well-endowed lifestyle packed with premium luxuries, this township is the ultimate place to be. You can conveniently choose from multiple payment plans along with easy home loans through at low interest rates, NRI services, customer support and a lot more for a happy buy. Book your apartment today and experience the high-life you have always desired!